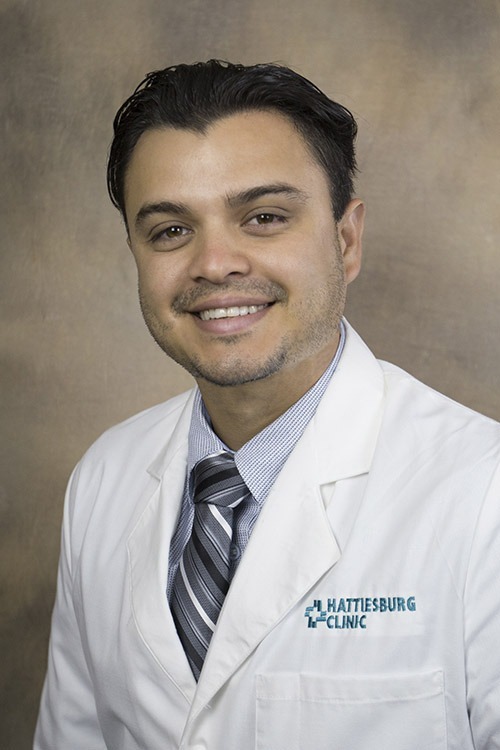 Eduardo Soto, MD, is a physician at Hattiesburg Clinic Critical Care Medicine. He received his medical degree from Universidad de Ciencias Medicas de Centro America in Costa Rica. He completed an internship and residency in internal medicine and a fellowship in critical care medicine at Hennepin County Medical Center in Minneapolis, Minn.
Dr. Soto is board certified in internal medicine by the American Board of Internal Medicine. He is a member of the Honduras College of Physicians and the American College of Physicians. His special practice interests include airway management and ultrasound. He also has expertise in the placement, management and monitoring of invasive lines. In his practice, Dr. Soto provides treatment to patients with life-threatening medical problems. “My goal is to help patients and their families through especially tough times in the ICU.